Four medium dishes at heights of sixty, forty-five, thirty and fifteen inches. Square base, twenty inches by twenty inches. This is the ideal model when the height is there, but width is an issue. 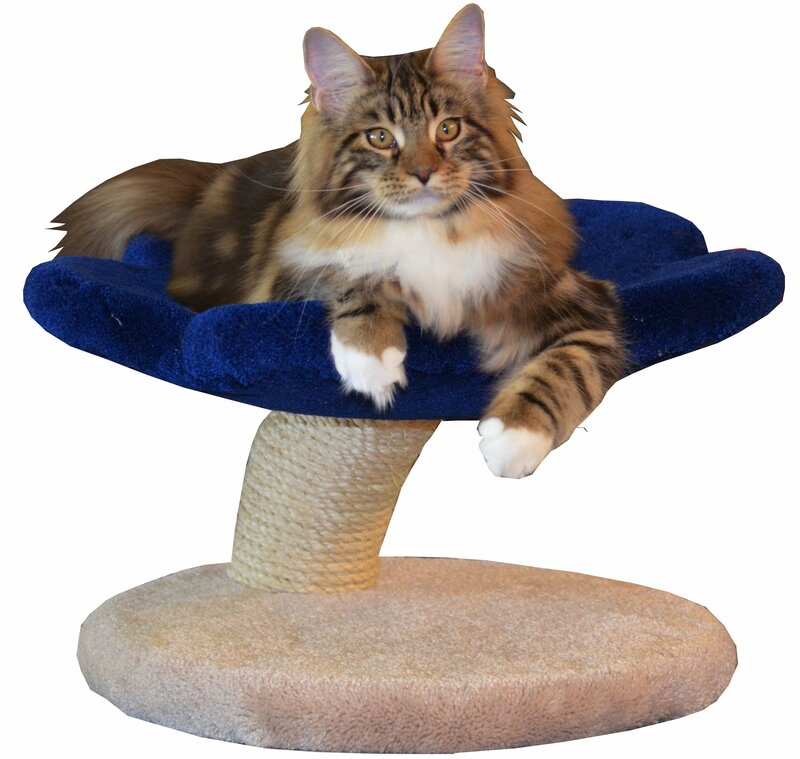 Adding a larger top level does not increase the width and allows a large cat to recline comfortably.